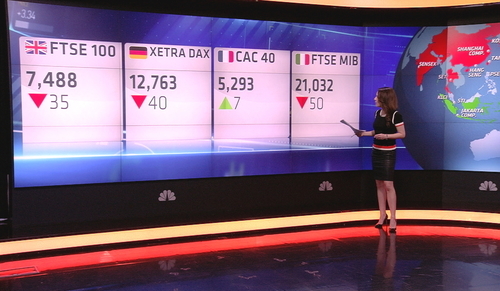 Welcome to World Markets Live, here are your headlines as a new week dawns. The U.K. Prime Minister, Theresa May, scrambles to reunite her Conservative Party after the election shock, but claims she wills stay in the job to complete Brexit. 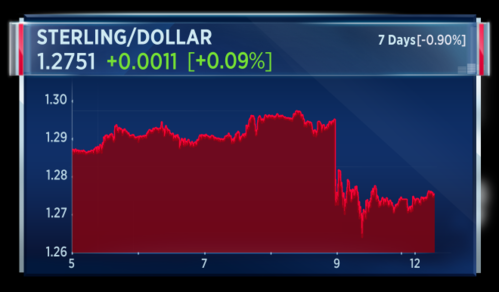 The Finance Minister of Qatar tells CNBC the country will not allow itself to be dictated to by its neighbors as the Gulf rift widens. 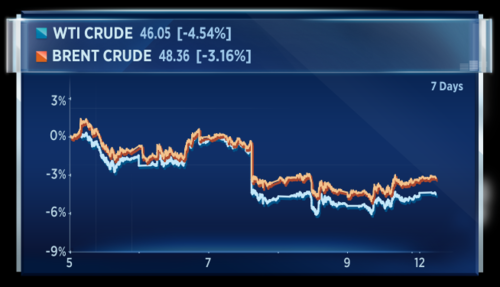 Saudi Arabia's oil minister tells CNBC that only the Qatari government can resolve the conflict, but says the dispute will not impact the OPEC, non-OPEC output agreement. French President Emmanuel Macron looks set to win a significant parliamentary majority, but turn-out is seen at a historic low. 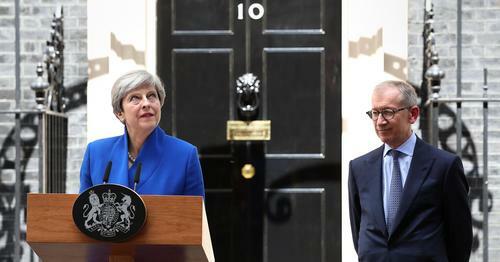 Theresa May said the government is focused on "delivering a successful Brexit" as she reshuffled her cabinet. The top five posts remained unchanged, with Philip Hammond, Amber Rudd, Boris Johnson, ‎David Davis and Michael Fallon all keeping their roles. But in a surprise move, Michael Gove has returned to the front bench as environment secretary. The prime minister also appointed Damian Green as first secretary of state, effectively making the former Work and Pensions Secretary her second in command. They want to see government providing that certainty and stability at what is a critical time for the country. The Brexit negotiations start in just a week. We need to get those right and make a success of it. I said during the election campaign that if re-elected I would intend to serve a full term, but what I'm doing now is actually getting on with the immediate job and I think that's what's important - I think that's what the public would expect. They want to see government providing that certainty and stability at what is a critical time for the country. The Brexit negotiations start in just a week. We need to get those right and make a success of it, but there are other issues that we need to address in our country, we've been listening to voters and that's what we will be doing. A YouGov poll for the Sunday Times newspaper found 48 percent of people felt May should quit while only 38 percent thought she should stay. 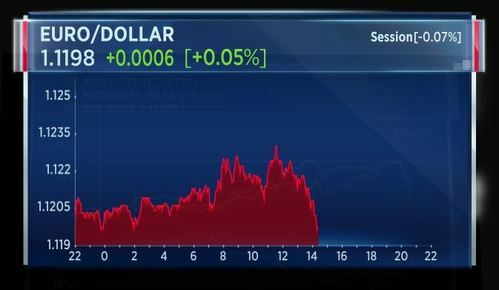 After last week's cliff edge fall for sterling, the currency has stabilized to a degree. There is some theory that May's election result may now precipitate a "soft Brexit" which will now benefit trade and business. European Commission leaders were quick off the mark in reacting to the UK election result. President Jean-Claude Juncker said he hoped there would be no delay to Brexit negotiations following the vote. The EU council president tweeted on Friday that British uncertainty should not delay Brexit negotiations. All elections are important, not only in so-called big member states. But the one of yesterday was of a particular importance. I do strongly hope that Britain will stay ready to open negotiations. As far as the Commission is concerned, we can open negotiations tomorrow morning at half-past-nine. So we are waiting for visitors coming from London. I hope that we will not experience a further delay in the conclusion of these negotiations. Asian shares have traded in negative territory today as markets turned cautious, following the surprise hung parliament result from the U.K. election last Friday and ahead of a two-day Federal Reserve meeting that begins on Wednesday. The Nikkei 225 was down by 0.61 percent and South Korea's benchmark Kospi index fell almost 1 percent, as Friday's sell off in tech stocks spread from Wall Street to Asia. 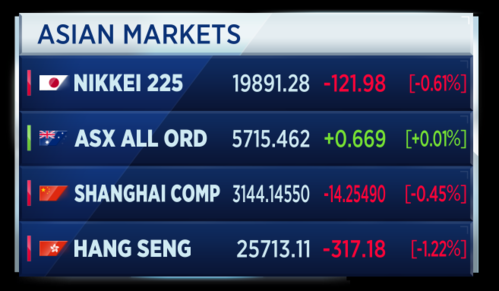 Markets across greater China are in the red. At the last print, Hong Kong's Hang Seng Index was down 1.22 percent, the Shanghai Composite lower by 0.45 percent and the Shenzhen Composite was down by 0.73 percent. French President Emmanuel Macron's LREM party is set to win a sweeping majority in the country's parliamentary after the first round of elections over the weekend. Polls project Macron's alliance could take up to three quarters of the lower house after the second round of voting next weekend. 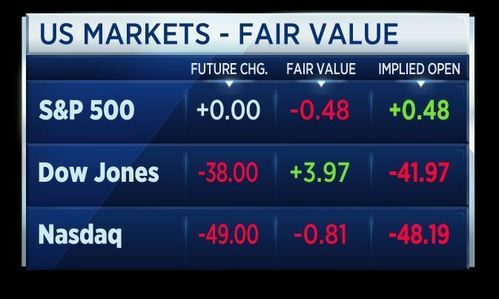 That having an effect on the futures for the CAC 40 in the futures market. 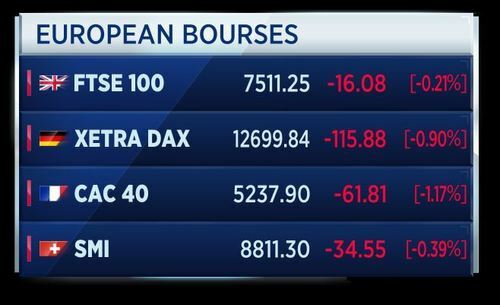 Other markets in Europe looking set for a bit of selling at this stage. 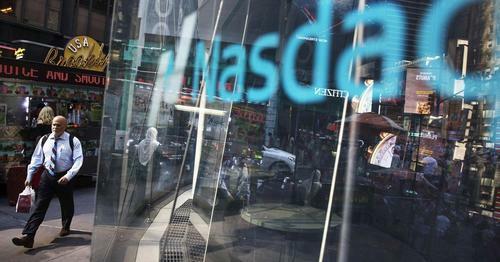 In the U.S. on Friday, the Dow saw a record close but tech stocks dragged heavily on the Nasdaq. 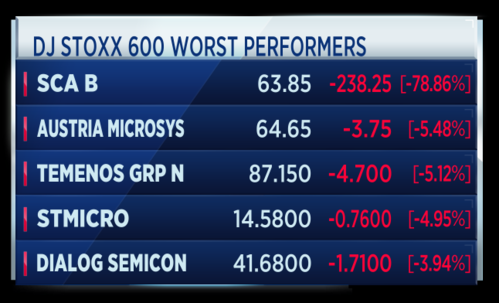 Tech lagged all sectors, posting its worst day of 2017. Apple, Facebook, Amazon, Netflix, and Alphabet all traded more than 2x their 30-day average volume, which each stock falling more than -3 percent. In this week's TV trader poll: Political uncertainty has become a dominating factor affecting investor sentiment in Europe. Following the Conservative Party's disappointing showing in last week's U.K. election -- we're asking which of these countries could be the first to see a new leader take the helm: Germany, Italy, the U.K. or the U.S.? 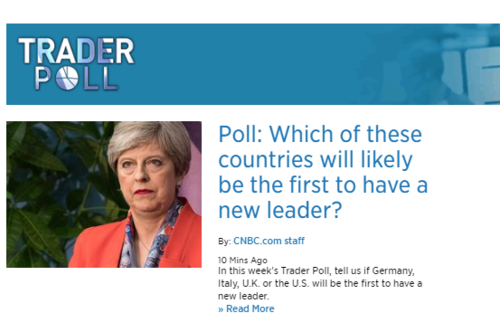 Head to traderpoll.cnbc.com to cast your vote. Some signs of diplomacy in the Gulf rift. Kuwait is expressing hope that Qatar and its Arab neighbors can lower tensions, with the foreign minister saying Qatar is willing to listen to its neighbors' concerns. Saudi Arabia, Egypt, UAE and Bahrain have shut down land, sea and air links in an ongoing fight over whether Qatar is supporting terror. 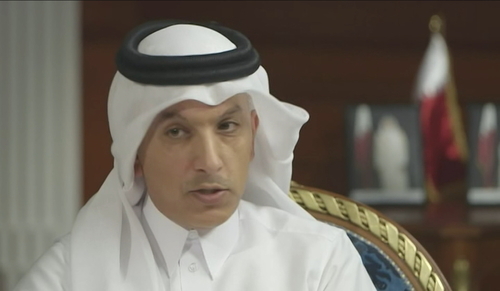 Ali Shareef Al Emadi, the Qatari Finance Minister, has told CNBC that accusations that Qatar has supported groups such as Hamas, Hezbollah and the Muslim brotherhood are propaganda. I think go back to all the reports that we've seen especially the report that we've seen in the last few weeks or the last few months, we know who's behind it. We know that all these things are really to put the propaganda against Qatar and to make all these allegations to weaken our point of views here and to really encourage the international community to take some stands against Qatar. Ali Shareef Al Emadi, Qatari Finance Minister, speaking to CNBC. The oil price has rebounded a touch overnight but on a weekly basis oil is off between 3 and 4 percent in recent days. A disruption to a Nigerian pipeline may account for the tick up in prices overnight. reuters also citing oil trraders who said that "the price rises came on the back of speculative traders upping their investment into crude futures, by taking on large volumes of long positions, which would profit from a further price rise." The interesting thing is that the yield curve is flattening here. 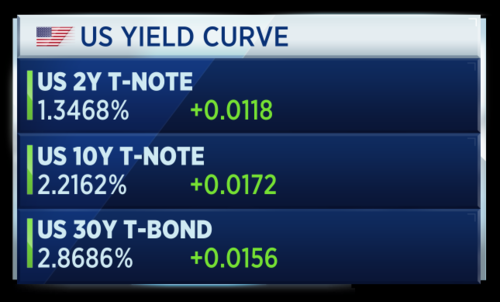 The market does seem to be looking at bonds. It raises some question as to why the Fed should aggressively run with 3 hikes this year, if the data isn't supportive. Geoff is considering the market angles ahead of this week's Federal Reserve two-day meeting which finishes on Wednesday. Theresa May is a dead woman walking. It's just how long she's going to remain on death row. I think we will know very shortly. Today, Theresa May will attend the 1922 Committee, also known as "the 22", is a committee of all backbench Conservative MPs that meets weekly when the Commons is sitting. That could be an uncomfortable sitting for the Prime Minister who is trying to shore up support across her party. Brexit negotiations begin one week today which may, given the short timetable, offer some support to the idea that May shoudl remain as leader. The Finance Minister of Qatar is arguing that it is not in anyone's interest to isolate the Arab country. 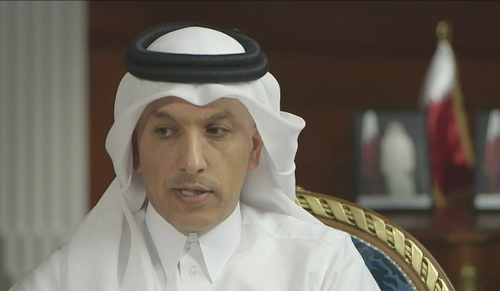 CNBCQatar's finance minister told CNBC that other Gulf nations may suffer as a result of the region's diplomatic feud while stressing his country's resilience to any shocks. The Brexit Minister David Davis has been talking on the U.K. domestic channel, ITV. He has said that Britain remains fully committed to leaving the single market and taking back control of the nation's borders. 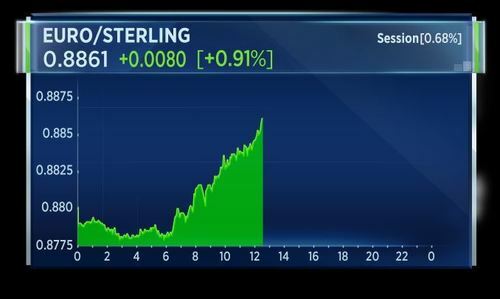 Sterling not reacting much to those comments which appear to maintain the line of a "hard Brexit". David also told the broadcaster that the former Finance Minister George Osborne was wrong to describe Theresa May as a "dead woman walking". The Finance Minister of Qatar tells CNBC in an exclusive interview his country will not be the sole loser in the rift with other Arab powers, as he assures the economy will survive the Gulf rift. A wild weekend for Theresa May. The U.K. Prime Minister scrambles to reunite the Conservatives after the election shock, but remains steadfast that people see her as the right person for the job. French President Emmanuel Macron looks set for a landslide win in the first round of the parliamentary election, but turn-out is seen at a historic low. Aldi expands in America. The German discounter spends over 3 billion dollars to add stores and increase competition with Wal-Mart. If you listen to the Qatari government they say they are not worried. Food shortages are not going to happen. From Doha, Hadley tells us that Qatar is playing down any effect of being cut off from trade involving neighboring countries. 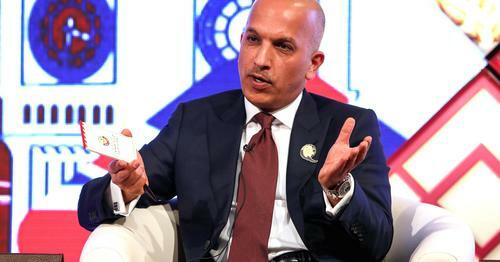 In a CNBC interview with the country's finance minister, Ali Shareef Al Emadi argued that the country is well placed to withstand the isolation. I'm more than happy to take another interview after two or three days that once you go and see the city, look at the banks, look at the grocery store, look at the business, go to the malls. We are business as usual and we're open for business. We know that you might have one or two challenges here and there but this is a country that's very resilient. The driver of bitcoin and the driver of equity markets is that we have got too much cash. 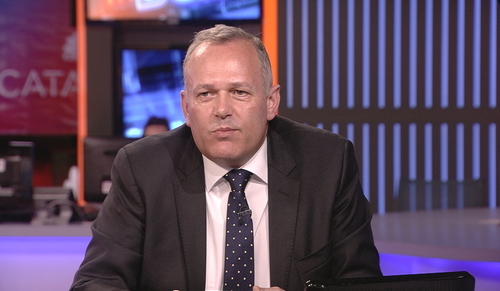 Richard Hodges, Head of Unconstrained Fixed Income at Nomura Asset Management is on set and says there is too much cash in the system and central banks are buying assets that pushes others in to more questionable assets. Hodges: Speed at which banks are expanding balance sheets is "incredible". Hodges also highlights that central banks have expanded their balance sheets by $1.5 trillion over the course of the last 4 to 5 months. 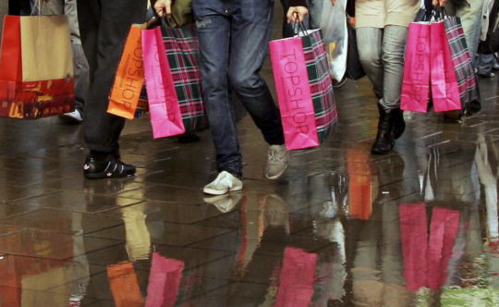 The U.K. shopper reduced spending for the first time in 4 years according to the credit card company, Visa. The company's freshest data, released midnight Sunday, shows consumer spending in May was 0.8 percent lower than in the same month in 2016. The last time there was a year-on-year fall was in September 2013. 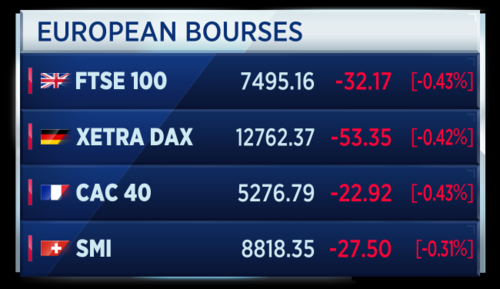 A bit of softness n Europe's equity markets this morning. In the individual markets, you can see the broad based sell off across the main trading platforms. 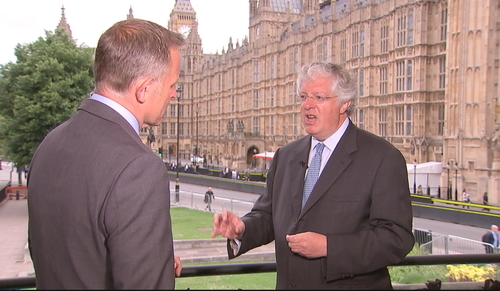 Guy Hands, Chairman and Founder of Terra Firma has joined Steve down at Westminster. He argues that we are in a similar environment to the U.K. of 1974 where a Labour opposition is offering a message of hope. Hands says what people want is something to believe in and that the drumbeat of austerity is no longer palatable. I don't think this government can bring this country together. I don;'t Corbyn can bring this country together. I think we will just stumble along and the Europeans will have all the strength in [Brexit] negotiations. Hands has heavy investment in nursing homes but says he doesn't think a Corbyn government would necessarily rush to end private equity in that arena. On investments in the U.K. he says "less for the moment, more in the future." 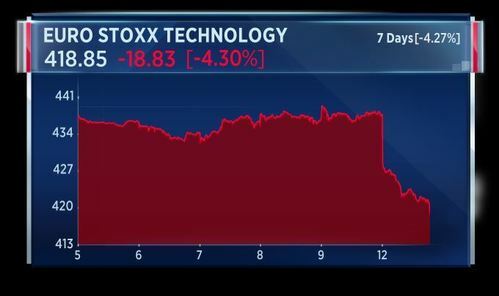 European tech stocks have come under pressure, following the moves in Asia and the sell-off in tech on Wall Street on Friday. 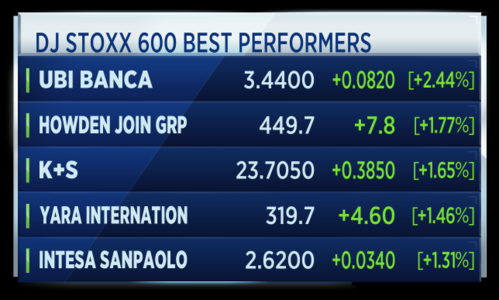 These are, at last print taken, this morning's best performers in Europe's table of big cap stocks. 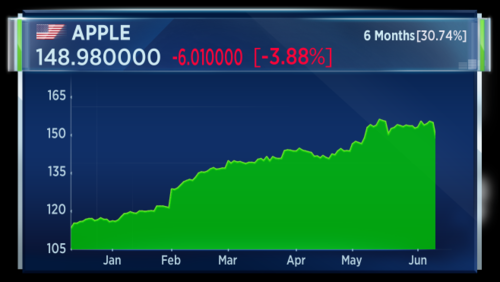 Italian banlks taking some of the prime slots as Unicredit CEO Jean Pierre Mustier says he is confident the Italian banking sector will find a solution to aid the country's two failing banks, Popolare di Vicenza and Veneto Banca. As previously highlighted tech stocks having a bad day. 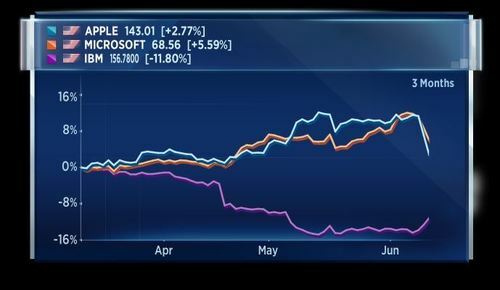 This follows the performance of U.S. Tech companies, which broadly fell on Friday. Goldman Sachs had warned that investors should not consider tech as a safe haven. 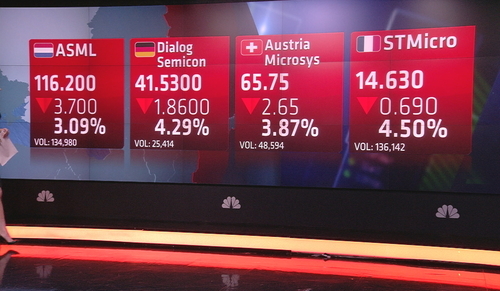 The stateside tech sell-off hurts stocks in Europe with the continent's largest chip-makers seeing red at the open after Goldman Sachs turned cautious on the sector. 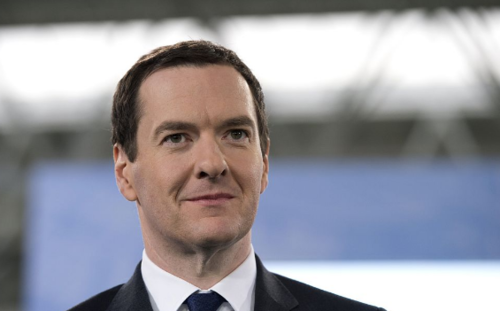 The U.K. Prime Minister scrambles to reunite the Conservatives after the election shock. 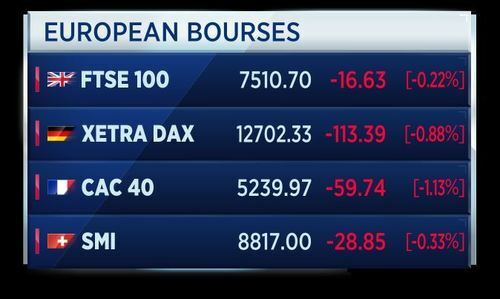 The FTSE opens in the red. U.S. President Donald Trump has called on Qatar to stop funding terrorism. The nation of Qatar, unfortunately, has historically been a funder of terrorism at a very high level. And in the wake of that conference, nations came together and spoke to me about confronting Qatar over its behavior. So we had a decision to make: Do we take the easy road or do we finally take a hard but necessary action. We have to stop the funding of terrorism. I decided along with Secretary of State Rex Tillerson, our great generals and military people, the time had come to call on Qatar to end its funding. They have to end that funding. And its extremist ideology in terms of funding. I want to call on all other nations to stop immediately supporting terrorism. - U.S. President Donald Trump. Airbus could reportedly move new aircraft production out of the U.K. if a Brexit deal does not include free movement of people, trade tariff exemptions, and consistent regulatory standards. 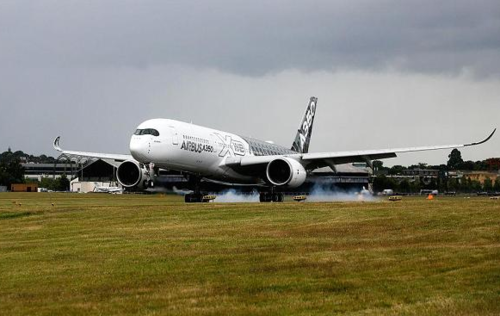 According to a report in the Sunday Times, Airbus COO Fabrice Bregier has said it would be easy for the defense giant to open a new plant for new productions "somewhere in the world", adding that the group has plenty of offers to do that. The plane maker employs approximately 10 thousand people at its two plants in Britain. We have a chaotic situation with a government that sought re-election on the basis of wanting a bigger mandate and a bigger majority to bring stability to British politics, and what have we got? A minority government relying on the DUP (Democratic Unionist Party) to try and get business through the House of Commons when they have no agreed positions as far as I can work out on most issues. It seems to me, chaotic. 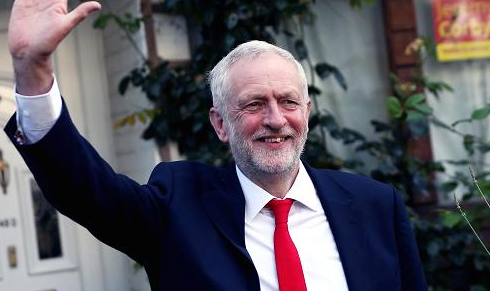 - Labour leader Jeremy Corbyn is accusing the U.K. government of presiding over chaos. 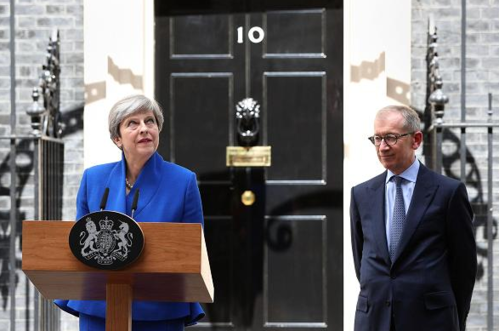 Theresa May said the government is focused on "delivering a successful Brexit" as she reshuffled her cabinet. The top five posts remained unchanged, but in a surprise move, Michael Gove, has returned to the front bench as environment secretary. The prime minister also appointed Damian Green as first secretary of state - creating mixed signals on whether she will adopt a softer stance on Brexit. This as discussions continue with the DUP over a deal to support her minority government. 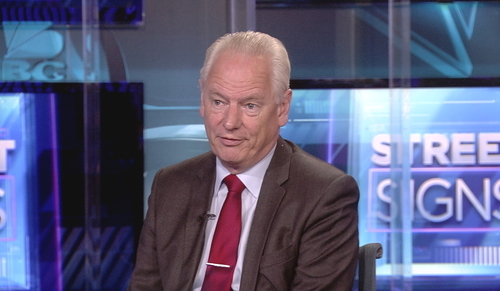 Lord Francis Maude, former Trade Minister under Prime Minister David Cameron is on set with Carolin for today's Street Signs show. He says at some stage "May will resign and be replaced". Lord Maude says the Conservative campaign was poor and given it was an election was one that didn't need to happen, May's position "can't be secure". He says the plan for Brexit must be to maximize engagement with the European Union to further the interest of business. 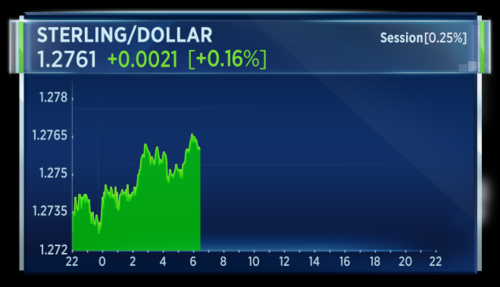 The ratings agency Moody's has suggested the U.K. election result is a credit negative for the country. 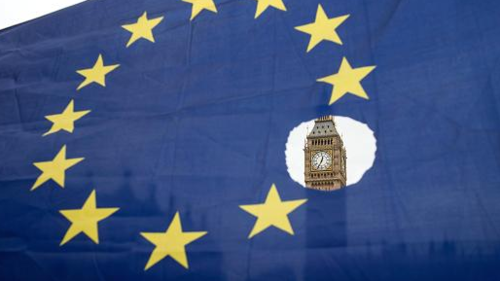 Moody's says the complex result will "complicate and probably delay" Brexit negotiations. It says fiscal risks could increase because efforts to get the budget in a healthier state will now been as a lower priority for the country's lawmakers. On the flipside, Moody's does note that the British government could consider "softer" Brexit options, which may ultimately be "credit positive". This would be a key timetable of events for the British government over the next few days. This according to Reuters. 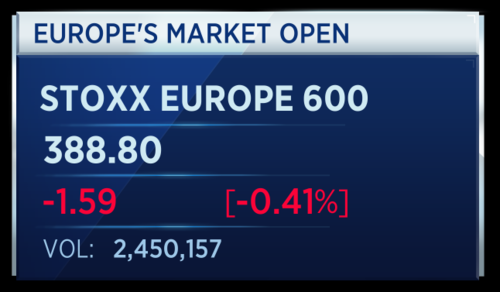 U.S. stock index futures point to a mixed open on Monday morning as traders respond to the latest political elections in Europe and looked ahead to the Federal Reserve’s latest meeting later this week. The U.S. central bank is set to announcement on Wednesday whether, as widely anticipated, it is to raise interest rates. On the data front, Monday afternoon will see the latest federal budget announcement. There are no significant earnings expected on Monday. 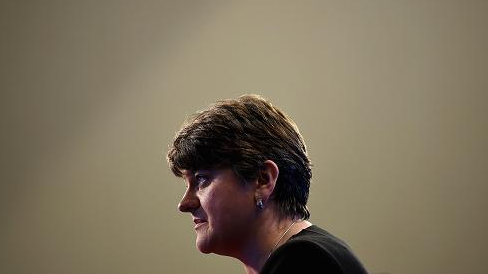 The leader of the DUP in Northern Ireland, Arlene Foster, has said that she is seeking to get a good deal for her province in talks with the U.K. leader Theresa May. She highlights Brexit and "defending the United Kingdom" as priorities. Foster has been thrust on to the world stage as a kingmaker after the U.K.'s Conservative Party failed to get a working majority in last week's general election. U.S. government debt prices edged lower on Monday morning as investors looked ahead to the Federal Reserve’s scheduled interest rate decision on Wednesday. 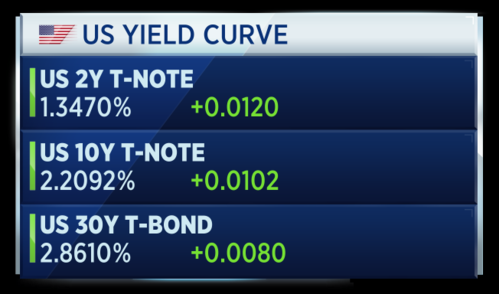 The yield on the benchmark 10-year Treasury note, which moves inversely to price, was higher at around 2.2092 percent, while the yield on the 30-year Treasury bond was also higher at 2.8610 percent. Monday will see the auction of $72 billion 13-,26-week bills; $24 billion 3-year notes; and $20 billion 10-year notes. In oil markets, Brent crude traded at around $48.32 a barrel on Monday morning, up 0.37 percent, while U.S. crude was around $45.96 a barrel, up 0.24 percent. 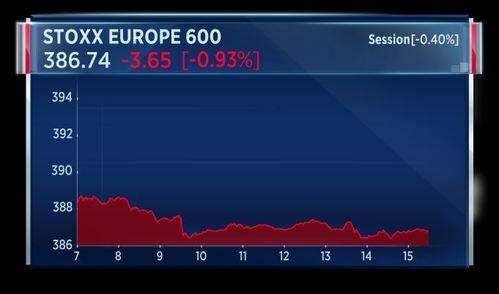 It looks like the sell off in Apple shares could to extend in to the Morning trading session. Pre-market data is showing a 2.2 fall on top of the near 4 percent fall witnessed on Friday. In the context of a six month time frame, Apple investors are still WAY ahead. 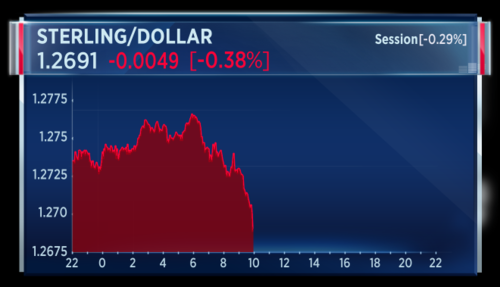 Sterling has fallen back below $1.27. Uncertainty over the nature of the country's exit from the European Union is keeping the pressure on. One additional factor may be some midnight data from Visa who revealed that month on month spending by the British shopper had fallen in May for the first time in almost 4 years. Scottish Conservative Leader Davidson supports UK saying in the single market as part of any Brexit deal but she is aware that May not happen. That's according to Reuters citing a party source. German government spokesman says Germany will apply to host both European Medicines Agency and the European Banking Authority after Britain's departure from the EU. That's according to Reuters. UK Prime Minister Theresa May would not want to accept a Brexit deal that was worse than leaving the EU without a deal. that's according to the PM's spokesman, who further added that Brexit Minister Davis has been clear that the plan for Brexit remains the same. May's spokesman says it is still government policy to cut annual net migration to below 100,000. Further, May is confident of getting a good Brexit deal and won't agree to anything that harms the UK. When asked whether May is concerned that Scotland's Davidson wants to remain in single market, May's spokesman says EU has been clear that UK cannot remain as an EU member and control its borders. 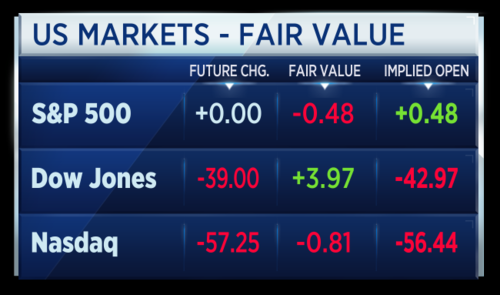 U.S. stock index futures pointed to a mixed open on Monday morning as traders responded to the latest political elections in Europe and looked ahead to the Federal Reserve’s latest meeting later this week. Scottish Conservatives want closest possible trading relationship with single market, that's according to a source close to Scottish Conservative leader Ruth Davidson. Scottish conservatives in PM May's party seeking a shift in Brexit thinking, the source says. The Conservatives in UK PM May's party want emphasis in Brexit talks taken off immigration and put back onto the economy, the source says. She's been called a "dead woman walking." But U.K. Prime Minister Theresa May is trying to prove she's not only very much alive, but so are the negotiations to pull Britain out of the European Union, scheduled to start on June 19. Following a disappointing election outcome, May's working to show she got the message, loud and clear. She's dropped her controversial co-chiefs of staff. She brought former leadership rival Michael Gove back into cabinet to bolster her position and help with Brexit negotiations. And she's consulting with Conservative MPs as she scrambles to unite her party heading into coalition talks with Northern Ireland's Democratic Unionist Party (DUP). 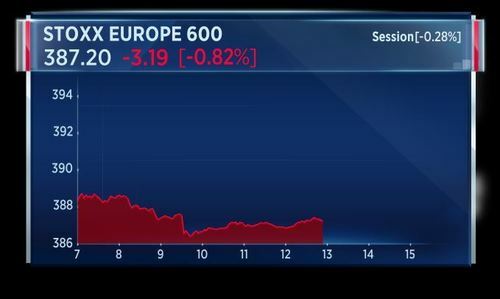 CNBCWill Brexit even happen? One strategist is betting against it. 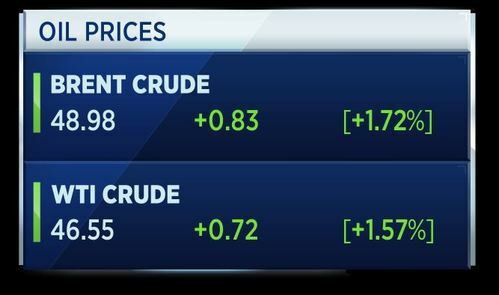 Oil rose on Monday to break a three-day losing streak, after futures traders increased their bets on a renewed price upswing even though rising U.S. drilling helped keep physical markets bloated. 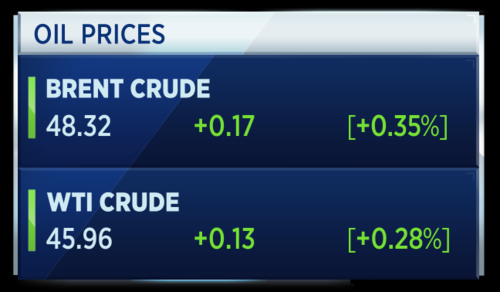 Brent crude futures LCOc1 were up by 85 cents at $49.00 per barrel by 1150 GMT, after hitting a session high of $49.15. U.S. West Texas Intermediate (WTI) crude futures CLc1 rose 74 cents to $46.58 per barrel, shy of the day's high of $46.69. Scottish First Minister Sturgeon says big question mark over whether UK PM May can put together a credible and sustainable government. She further added that hard Brexit approach is dead in the water. That's according to Reuters. The European Central Bank could be expected to continue its bond-buying program known as quantitative easing (QE) into 2019 despite announcing at its most recent policy meeting that the region's growth prospects now look "broadly balanced", Societe Generale has suggested. 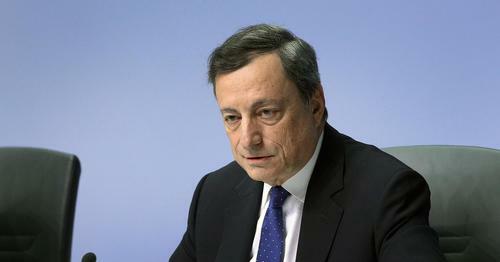 The central bank set a dovish tone in its analysis of Europe's outlook when it met last Thursday to make its latest interest rate decision but the likelihood of it announcing an extension to its QE asset purchasing program (APP) in the third quarter of this year looks increasingly likely, SocGen said in a research note Sunday. CNBCThe European Central Bank could be expected to continue its quantitative easing (QE) program into 2019 despite announcing at its most recent policy meeting that the region’s growth prospects now look “broadly balanced”, Societe Generale has suggested. CNBCU.S. 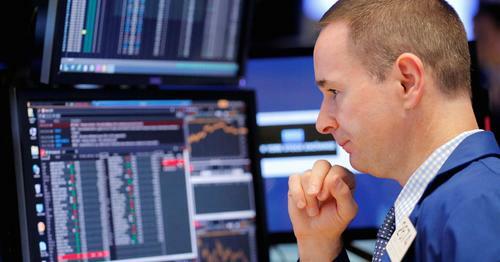 stocks opened lower on Monday amid renewed pressure on technology stocks. After a bitter end to the week for big tech stocks, a big question remains: Was the Friday drop a one-day aberration, or the start of a significant reversal for the high-flying group? After hitting a record high in early trade – its 10th in the past 12 sessions – the Nasdaq 100 fell powerfully, closing the day with a loss of 2.4 percent. 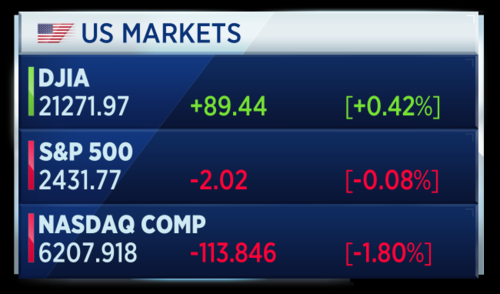 Apple, the biggest component in both that index and the S&P 500, fared even worse, closing down 3.9 percent. 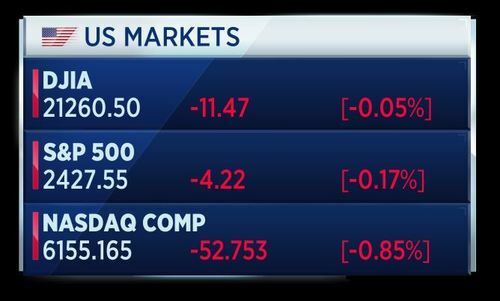 CNBCAfter a bitter end to the week for big tech stocks, was the drop the start of a significant reversal for the high-flying group? UK Foreign Minister Boris Johnson says he will urge his counterparts from Saudi Arabia, Kuwait and the UAE to take immediate steps to de-escalate the current tensions around Qatar and find a rapid resolution. Johnson says it is in the interest of the wider region as well as the UK that a swift solution regarding Qatar is found. That's according to Reuters. Spanish economy minister Luis De Guindos says Banco Popular sought emergency liquidity on June 5th and 6th, but it ran out very quickly. That's according to Reuters. And that's all from us here today. We will see you again tomorrow from 0600BST. Till then, have a great evening and see you soon.